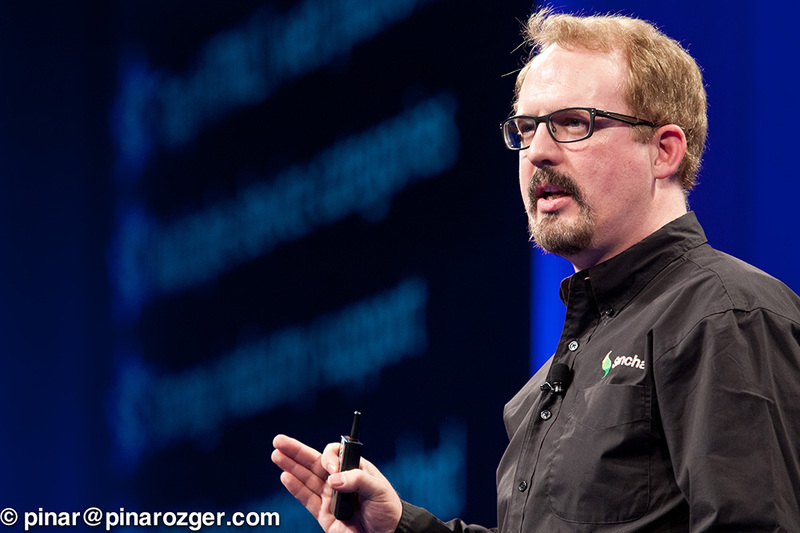 Yesterday’s SenchaCon keynote address was filled with exciting announcements. We’ll be posting a video of the entire keynote shortly, but here’s a summary of all of the new stuff that was announced and demonstrated on stage. The biggest and most exciting announcement during yesterday’s keynote was the introduction of an entirely new product, Sencha Space. Designed with BYOD challenges in mind, Sencha Space is a secure and managed environment for HTML5 business applications that runs on any mobile device. With Sencha Space, developers can build powerful business apps using an expanded set of device-level APIs, and IT admins have a secure way to deploy and manage them, without having to taking ownership of personal devices. Best of all, end users can access all the work-related apps from their mobile device while keeping their personal data personal. Sencha Space is now in developer preview, with clients available for iOS, Android and Blackberry. We’d like to invite you to give it a try! The developer preview gives you a chance to start building apps with the new APIs and powerful security features today! Sign up now to get into the developer preview queue, we’re adding new folks every day. We showed off the first look at Architect 3 and demoed three of the major features that will be coming in that release: Project Templates, User Extension Import and Theming. We’re making it even easier for new Sencha developers to get started, with the addition of project templates. Instead of beginning all new projects with an empty canvas – which can be dauntingly blank for beginning developers – you can now choose from a variety of common templates and layouts. Architect then gets to work by creating a project with all the necessary components. We have templates for the latest versions of Touch and Ext JS and they cover the range from basic layouts all the way to fully featured example applications. But, if you prefer starting from scratch, you can still do that. One of the great things about the Sencha frameworks is the ease of building extensions, and our developer community does just that in spades. A common request for Architect has been to make it easier to add extensions to Architect projects, and we are pleased to announce this support coming in Architect 3. You’ll be able to create configuration files to make your extensions ready for use in Architect to make it easy for other developers to import these extensions into their own Architect projects. Sencha frameworks provide rich themes for total control of a project’s appearance, but until now you haven’t been able to change themes within Architect leading to poor practises like inline style editing. Architect 3 exposes the power of theming by enabling direct editing of the appearance of an app. In Architect 3, you no longer need to inspect a browser preview, search deep into SASS files, compile the changes, and review them in a browser. You can simply make these changes directly in Architect. Changes can be made globally or just on specific components. Once designed, these themes can be saved and reused. With the influx of new mobile devices, testing your app on a wide-range of platforms is a constant challenge. We’re partnering with Appurify to help solve this problem. Sencha Architect 3 will integrate with Appurify’s cloud-based device test lab. With a few clicks, you can test your app on numerous devices directly from Architect. Sencha Architect 3 Developer Preview will be publicly available in early August. And from now on, when you purchase Sencha Architect 2, you’ll be automatically entitled to upgrade to Architect 3 when it’s available this fall. A main topic for the keynote was to talk about the future directions of the frameworks. When we first launched Sencha Touch, we focused on making Sencha Touch the premier SDK for building rich apps for modern mobile devices with modern browsers. At the same time, we continued to evolve Ext JS to be a powerful programming framework focused on mouse-keyboard PC apps on every major browser back to IE6. Since then, the device landscape has evolved and we’ve evolved the frameworks. Desktops and notebooks are now integrating touch interfaces, and we’re also seeing an increased number of tablet use cases where people are switching back and forth between touch and keyboard input. Not to mention pen input in products like the Galaxy Note. So we’re evolving the frameworks in concert. Yesterday, we announced that Ext JS will add touch interface input and introduce support for tablets. We also announced that we’ll be adding a touch grid component to Sencha Touch Bundle. We also gave an update on the state of legacy IE in the community based on a forum survey we ran last month. We’ll be blogging the full results of that survey soon, but here are the highlights. Although more than 80% of you have dropped IE6 support and more than 90% of you will have dropped it by the end of next year, IE8 is a different story. About 80% of you still support IE8 for your apps, and about half of you plan to support it through the end of 2015. This means that Ext JS will continue to support IE8 in our next version. Sencha Touch 2.3 has a host of new, built-in device support features. For starters, we’ve significantly improved BlackBerry support and themes. We went over every component and made sure made sure they match with Blackberry 10 design guidelines. We’ve even added new menu components to support BB10’s exclusive menus. Sencha Touch 2.3 fully supports Apache Cordova 2.9.0 and later versions. This support makes it faster than ever to package your apps. Information on the Cordova API is available at http://cordova.apache.org/docs/en/2.9.0/. Sencha Cmd 4.0 includes “sencha ant cordova” for Sencha Touch and Cordova integration. Finally, Sencha Touch 2.3 also provides enhanced themes as well as preliminary support for Tizen. As Tizen 2.2 SDK specs are finalized, we will continue to monitor and improve the Tizen support in Touch 2.3. Sencha Touch 2.3 Beta is available now. Download the software, read the docs, and visit the forum to get help and provide feedback. One of the most exciting new features coming to Sencha Touch is Touch Grids. The new TouchGrid component makes it easy to present large data sets in grids while achieving lightning fast scrolling and smooth transitions for the user. The beta of Touch Grid includes touch-optimized functionality for row editing, data entry, pagination, column customization, and more. Touch Grid will be available as part of the Sencha Touch Bundle, and ship alongside Sencha Touch 2.3. As we teased a few weeks ago, support for touch-interfaces is coming to Ext JS. We’re taking the Sencha Touch event system and scroller and integrating it into Ext JS to provide touch events within Ext JS for supported devices. To help existing Ext JS applications work on touch devices, we have even mapped certain mouse events to touch events. This means that on devices with touch events, when the mapped touch event occurs, it will fire any handlers for the corresponding mouse event. Any component or container that supports the “autoScroll” config will use the touch scroller on supported devices when autoScroll is true, or when the overflowX or overflowY configs are used. Grid Gadgets are a new type of component that allow you to place rich, interactive content inside a Grid cell. We have had many requests to allow components such as buttons and charts to run inside a Grid column without the memory management and performance penalties of declaring a component for each cell. Grid Gadgets are flyweight objects that are bound to records and use either the data or the state information in the DOM to track state. Sencha Cmd 4.0 includes “sencha ant cordova” for Sencha Touch and Cordova integration. It enables access to Apache Cordova 2.9.0 APIs and packaging. Sencha Cmd 4.0 also provides a “sencha app watch” functionality for Sencha Ext JS and Sencha Touch. The “sencha app watch” handles changes to common files that developers typically update manually. It continually updates the bootstrap.js file and the CSS files for a project after you make a change to a component in the app.js file for your application. The “sencha app watch” runs in the background until you tell it to stop running. We’ve been collaborating with Salesforce.com on a library to enable Sencha Touch developers to quickly and easily build apps for the platform. The Salesforce.com mobile pack will be released shortly to market.sencha.com. For the last two years, we’ve had a productive relationship with Microsoft open technologies, working on adding and then improving support for Windows Phone 8 and Windows 8 in Sencha Touch. Now we’re expanding our work. We’ve been working with Microsoft on an extension library that will help developers quickly and easily access the cloud services of Windows Azure Mobile, including data storage, user authentication and notifications. A few months ago, we announced that we would be supporting Sencha Touch on the Tizen platform. We’re pleased to deliver preliminary support for the platform in Touch 2.3, and will be collaborating further with Tizen on Tizen theming and further enhancements. That was just some of the highlights and previews from Day 1 of the keynote. 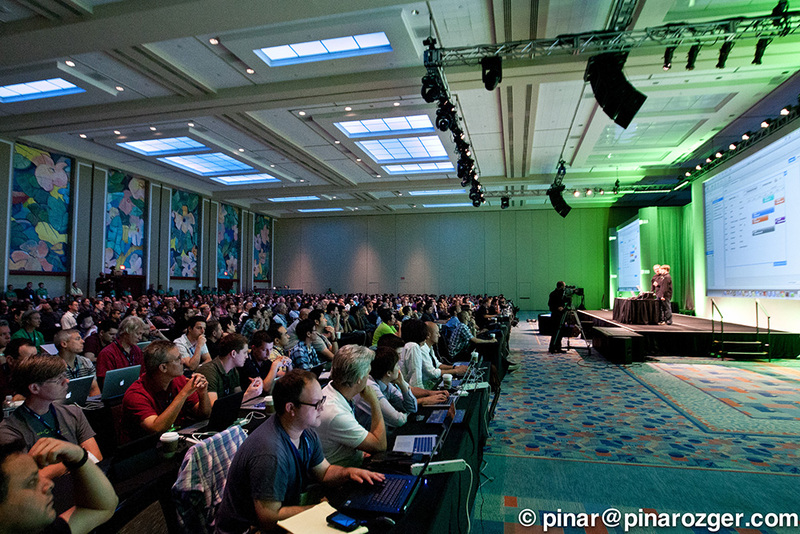 There are more topics that deserve their own standalone blog posts, so stay tuned for more in-depth blogs and some more brand new things from SenchaCon 2013. Coming Soon… HISTORY FIGHTER by Headrush Games and Ice Cap Publishing!